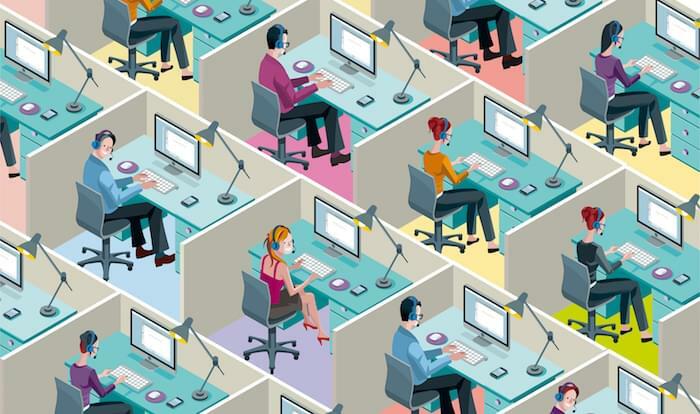 Every category of business software has a couple vendors that stay at each other’s throats. They constantly adjust their product portfolios to gain competitive advantage, constantly vie for the same market share, and constantly hone their marketing message to sway an audience caught in the middle. 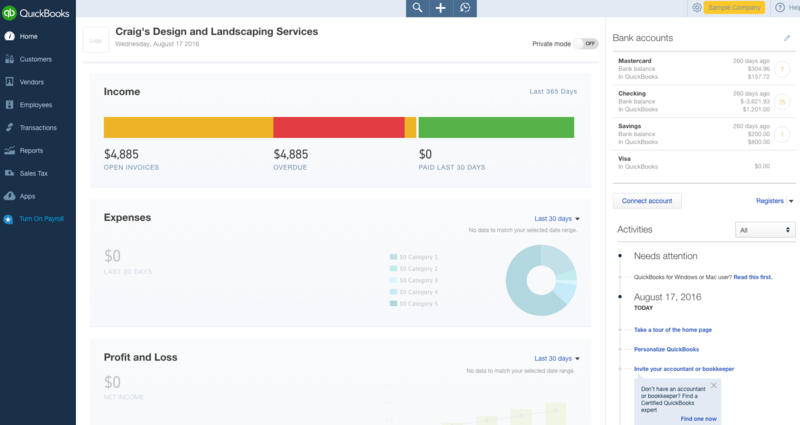 In the accounting software category, we’re talking about Xero vs. QuickBooks. It is perhaps the greatest gladiator match in the history of small business accounting. Night versus day. God versus man. Son of Krypton vs Bat of Gotham . . . Okay, so it isn’t as titillating as Henry Cavill fighting a robot exoskeleton with glowing eyes, but your choice between these two leading providers could significantly impact the health of your business. 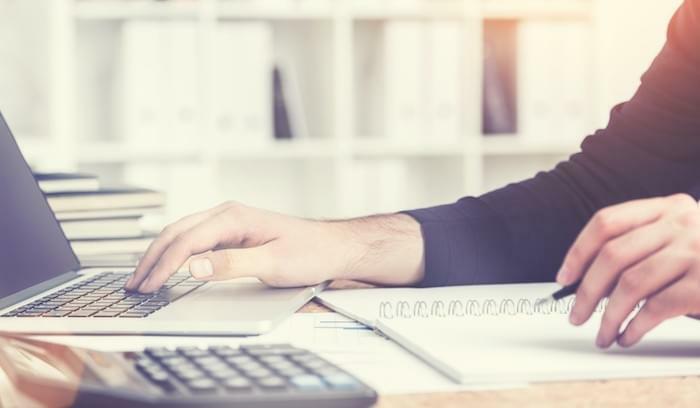 Since the 1980s, when the internet was still a twinkle in Al Gore’s eye, Intuit QuickBooks has been the gold standard for small business and even personal accounting. The cloud-based version that debuted in the early 2000s only further established QuickBooks’ popularity. According to recent figures, they now claim over 1.5 million paid subscribers and a network of 150,000 certified accountants. Xero is a much younger vendor (founded in 2006), but they’ve made their intentions pretty clear from the start: to subvert the QuickBooks regime. In fact, the text on the Xero homepage labels them “The online accounting software alternative to QuickBooks.” They even offer a dedicated service for importing QuickBooks data into Xero in as little as three hours. Both vendors offer a similar array of features, comparable pricing, and a solid customer base in multiple industries. At first glance, it might seem like a coin toss, but there are some important distinctions between Xero and QuickBooks that you’ll need to know before you buy. Let’s take a closer look. For the purposes of this article, we’ll be comparing QuickBooks Online (their flagship product) and Xero’s standard product for small businesses — although it’s worth noting that QuickBooks offers a wider variety of implementation packages, including a low-cost pricing tier for independent contractors (more on that later), several desktop editions, and a separate version for Enterprises. Xero and QuickBooks Online both come in three pricing tiers, with a discounted introductory rate for the first six months. One of the biggest distinctions here is that Xero doesn’t place a cap on users; you can add unlimited users to any edition for free. QuickBooks, on the other hand, limits customers to one, three, or five users, depending on your subscription. It’s safe to assume that any businesses exceeding the user cap would need to pay extra or upgrade to the QuickBooks Enterprise. Xero also includes 24/7 support with all editions and payroll for a small team with their Standard and Premium editions—where QuickBooks requires an additional monthly fee to process any payroll, and their support desk closes at 6pm, PST. Xero’s top pricing tier is more expensive outright, but with a small team, you’ll get more for your money. Most of these are pretty standard fare for a cloud-based accounting solution, but there are a few things that make Xero unique. For starters, you can invite as many people as you want to view accounts and collaborate on financial management, whether that be your accountant, bookkeeper, a senior executive, or an outside consultant. 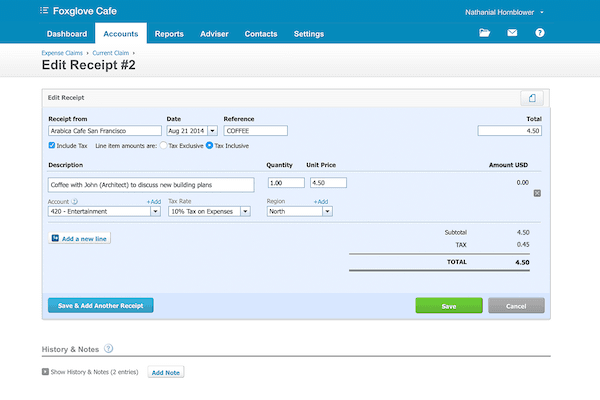 Another unique feature is Xero’s expense claims workflow, which lets users easily submit new expenses by taking a picture of a receipt through the Xero mobile app (or by logging in through your web browser). You can specify whether the expense went through a company account (card, bank), or a personal account (“I want to be repaid”). 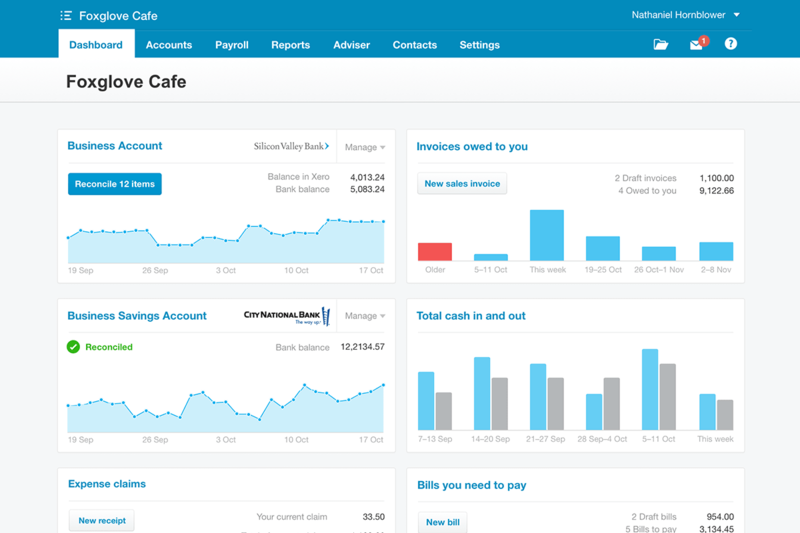 The simplicity of this process reflects Xero’s focus on keeping their user experience intuitive for financial professionals and line-of-business users. Other nuances of note: custom rules for bank reconciliation, cash coded bank statements, support for 160+ currencies, and profitability analysis for inventory. 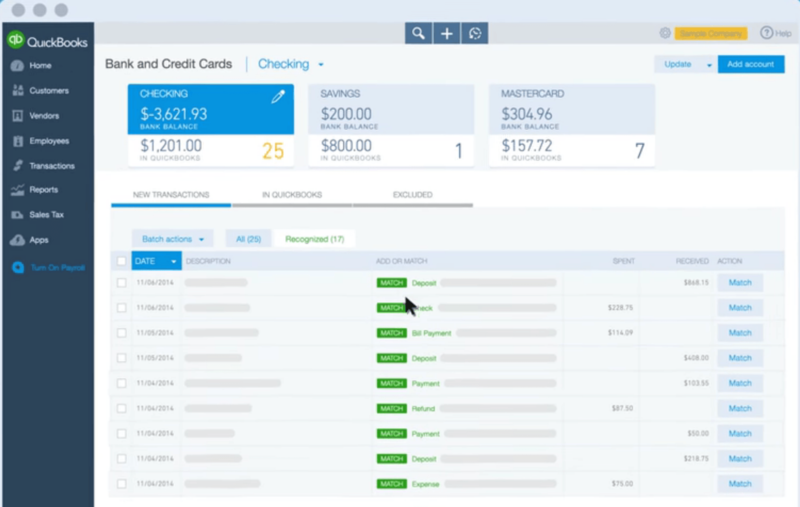 QuickBooks’ bank account synchronization screen. When you buy a piece of software, it’s important to look beyond standard features. Will it comply with your existing systems and workflows? How can it grow with your business tomorrow? 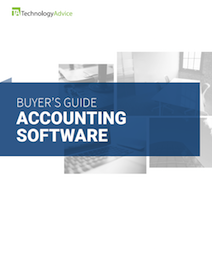 In the case of accounting software, you should look for native add-ons/integrations and ancillary services for accountants. Both of these can help you realize a higher return on your investment when they inevitably come in handy. QuickBooks can sync with over 400 popular business apps, including PayPal, Shopify, Square, Salesforce, and many others. That means you’ll be able to see data from these systems without leaving QuickBooks and reduce the time you spend on manual data entry. Their app list is a little light in the human resources category, which could be a drawback when it comes to streamlining payroll. Intuit has maintained more than a successful software platform over the years; they’ve also created a massive network of accountants, advisors, clients, and resources. Their ProAdvisor program provides exclusive benefits for members, including free QuickBooks products, dedicated support, certification and training, and discounts on apps from QuickBooks partners. With over 500 native integrations, Xero’s app marketplace has a clear advantage in terms of quantity. Popular apps include Google for Work, Square, Shopify, Salesforce, and Zendesk. They also sync with ADP, which could be a strong selling point for payroll managers. Just keep in mind, relevance is more important than quantity when comparing integrations. Similar to Intuit, Xero has their own partner program for Xero accountants, which includes free Xero Partner Edition (or Practice Studio for “Silver” partners), dedicated accounting support, an advisors directory listing to help you connect with clients, as well as free online training and certification through Xero TV and Xero U. Take your research deeper than a handful of blog articles before you commit to either vendor. Read reviews from real users and run a free trial (both offer this) to get a better idea of how the software actually runs and whether it meets your expectations. Your final decision should weigh a number of different factors: cost, features, usability, services, and support. Want to save a little time? Use our product selection tool to filter your options based on industry, deployment, and features.